Even mountain guides need the occasional escape from the office. In my case that means my smallest pack, a pair of shredded up trail shoes, usually my jetboil, and then venturing off to hidden places even further from the noise. And though I hesitate to admit this, the foothills below Mera are for me one of those key escapes. Leaving Lukla and turning left instead of right, you swing down into the ancient pine forests of Kharikhola. This to me, is an almost sacred valley. It’s the home of my climbing partners, their kids, their lodges and their farms – all of life that exists outside the weeks and months on expedition. Crammed in a tent hanging off a wild high camp, this is the place we often talk about while the gas stoves are hissing or while drying out liners in pure exhaustion at the end of a load carry day. So coming out here to recharge gives me not only the peace and silence of immense forests and the remote trails I love to run on, but also the energy of a home-coming. Hidden deep and hidden away from the crowds and the noise and the chaos of the Upper Khumbu Valley, this is where that other side of life begins. Once in a while, it’s a week holed up in a simple tea house finishing up some writing free of distractions. Another time it’s just to escape for days of trail runs in unrelenting hills. A couple of seasons ago it was even to share the hideaway with friends making a film on the local honey hunters in the Hinku, a fading mystical tradition. Each time, it’s a source of renewal. The farther in you go, the trails get all the more demanding and the rewards even more captivating. Waterfalls, deep gorges and the smell of wet rhododendron forests – these valleys are to me an easy place to unwind for a trailside coffee stop (hence the jetboil). Alone with mossy boulders and a chance ray of sunshine through dense forest. Occasionally, it leads to happy chatter on the trails with the local Rai and Kulung villagers, wondering if somehow I’ve gotten lost ending up down here in the land of the locals? Time slows down for me. It’s dal bhat, maybe a swig of rakshi, and local gossip about what tea house the cousin or husband is working in this season. Whether they’re still running trails for the local marathon in May. There’s a real happiness in weaving home and work a couple of thousand meters high in the sky. 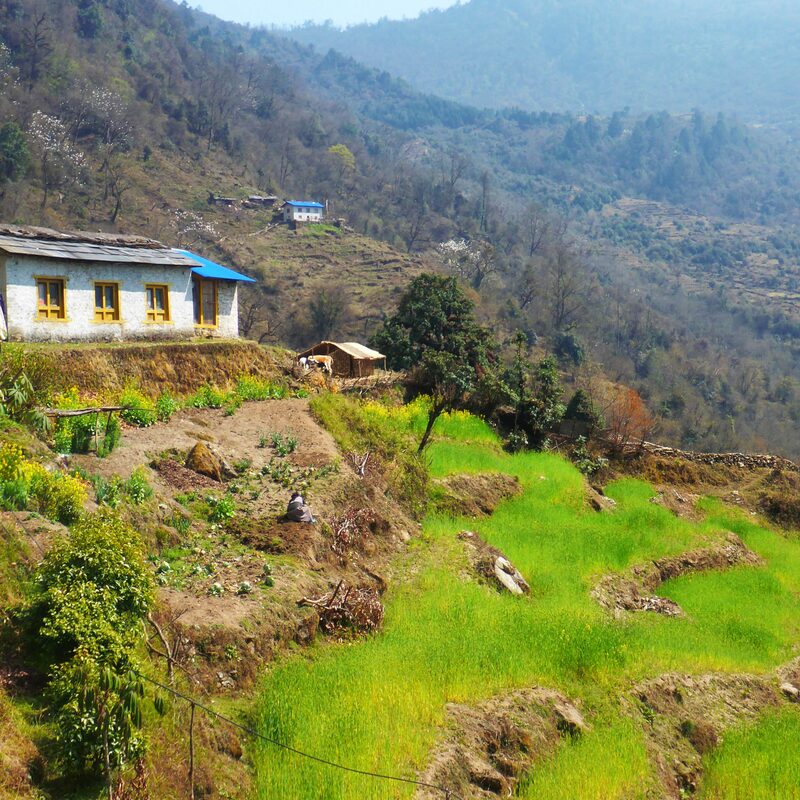 The first days here, it’s the villages nearest the Khumbu and so populated by the climbing sherpas, their success translated into homes with modern amenities and stone paths in the village square well-kept and strewn with prayer flags. Then deeper into the valleys the real heart and soul of Himalayan climbing emerges. 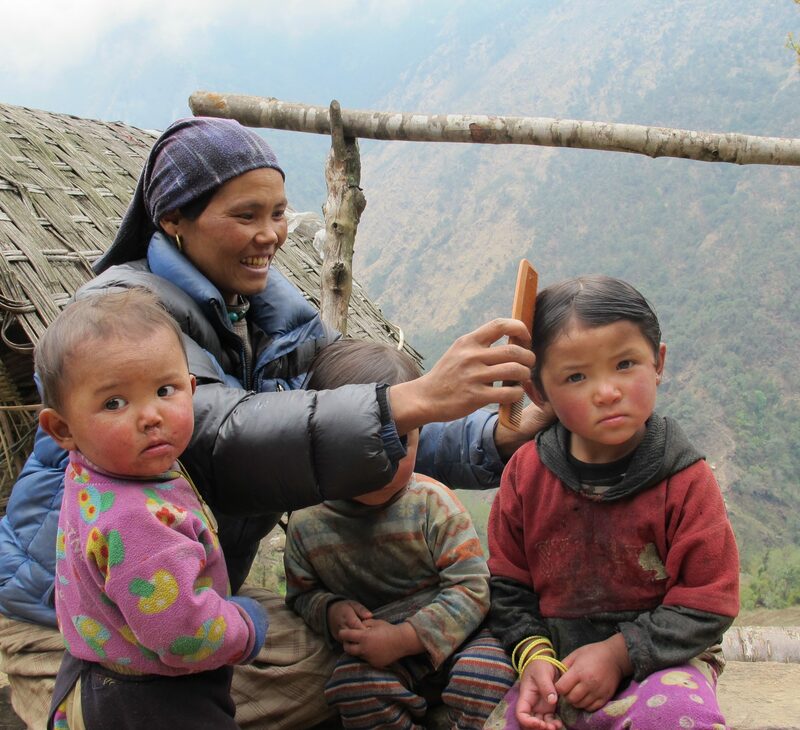 The porters, the kitchen staff, this Makalu Barun region is their land. Dig in a little deeper and it’s the stories of the brother, working 3 months away in the Gorak Shep kitchen. The husbands, portering loads around Gokyo, and even a few working their way up to carrying loads on the big peaks, aspiring to one day become climbing sherpas. It’s the lifeblood of Himalayan climbing, but absent of the teahouses, the tourism, the amenities. And it’s also the place where the daily life keeps on ticking – harvesting the grains, the honey, keeping the chickens and the goats. Prepping for the offseason and the winter ahead. It’s this connection with homelands that grounds me and fills me back up. And the magic of the 360 Expeditions Mera expedition is that it weaves these somewhat parallel energies right back in together. Instead of disappearing to these valleys for recovery, it means arriving into them for inspiration, for motivation, and for a chance to connect real local life on our way to the 6000m giant ahead. There are not many places where you get to make your way straight from the village door up to the Himalayan summit. And it makes the reward of standing on top of Mera’s summit, engulfed by all the towering Himalayan giants surrounding us, it makes it all that much more connected. There’s just really no adventure that’s more complete! 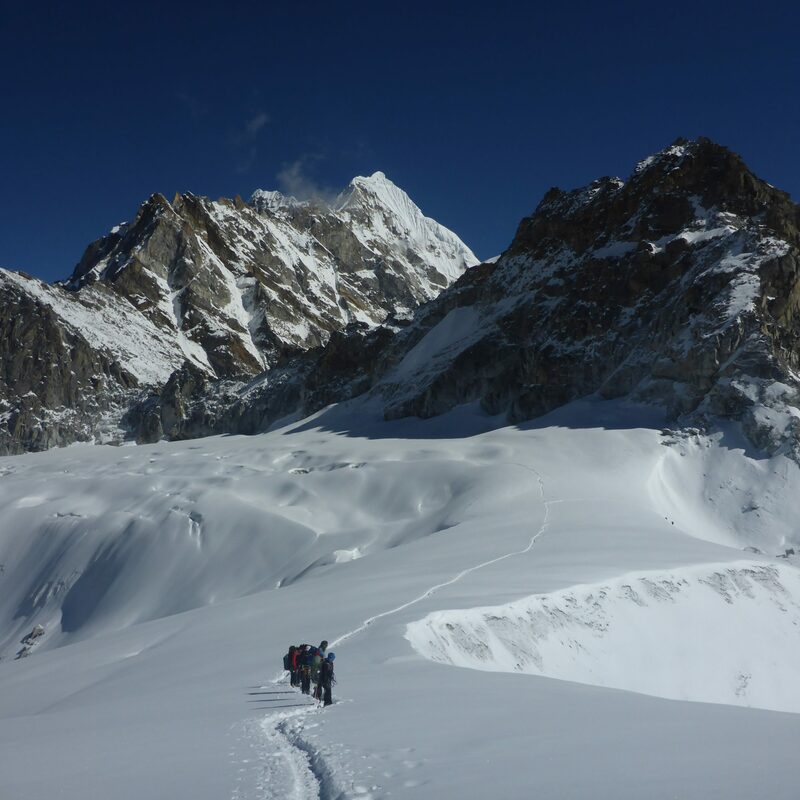 If you’re inspired to visit this incredible region, I’ll be leading an expedition to Mera Peak 4-25 October 2019. Come join!